Public office has never been an easy task. The task requires strong individuals with effective leaderships skills that will positively impact local, state, and federal government entities. These men and women must be skilled politicians with innovative ideas and a commitment to public service. At the close of the modern Civil Rights Movement in the early 1970’s, the nation witnessed the election and appointment of several African Americans who stepped onto the political scene and became public officials. This week’s MSI Line Up highlights individuals who transformed the nation and paved the way for the next generation of Black political leadership. Maynard Holbrook Jackson became the first Black mayor of Atlanta, Georgia in 1973. His election, at the age of 35, marked the first time in history an African American was chosen to lead a major city in the southern region of the United States. He initially served two terms and then returned for a third terms in 1990. Jackson was educated at Morehouse College, the nation’s only historically black all-male institution. He had been recruited at the age of 14 by Dr. Benjamin Elijah Mays, Morehouse’s longest serving president as a Ford Foundation Early Admissions Scholar. There, he prepared for his future career by studying history and politics as an undergraduate while also singing in the the prestigious Morehouse Glee Club. Jackson graduated from Morehouse College in 1956. Jackson received his Juris Doctorate from North Carolina Central University School of Law, a historically black university in Durham, North Carolina. Jackson’s leadership transformed Atlanta. Among his accomplishments were the building of Hartfield-Jackson International Airport, securing the 1996 Summer Olympics, and building Atlanta’s Black middle-class. Jocelyn Elders is a graduate of Philander Smith College, a historically black institution in Little Rock, Arkansas. There, she studied Biology and pledged Delta Sigma Theta Sorority, Inc. Upon graduation, she enlisted in the Untied States Army and was trained as a physical therapist. She later earned her M.D. from the University of Arkansas and a M.S. of biochemistry from the University of Minnesota. Joycelyn Elders, the first person in the state of Arkansas to become board certified in pediatric endocrinology. She later became the first African American appointed Surgeon General in 1993 by Bill Clinton. Dr. Elders later returned to the University of Arkansas as a professor of pediatric endocrinology. 3) David Dinkins—Howard University, Washington D.C.
David Dinkins became the first African American mayor of New York City in 1989. He had previously served as the Manhattan Borough President and as a member of the New York State Assembly. David Dinkins was trained at Howard University in Washington, D.C. under the leadership of Dr. Mordecai Wyatt Johnson. Dinkins graduated from Howard with honors in 1950 earning a B.S. in mathematics. There, he became a member of the Beta Chapter of Alpha Phi Alpha. Upon graduation he received an L.L.B. from Brooklyn Law School in 1956 and maintained a private law practice before seeking public office. Marion Barry commonly referred to as the “Mayor for Life” was the longest serving mayor of the District of Columbia. He was first elected in 1979 and served until 1991. He was later re-elected after personal controversy and served again as mayor from 1995 to 1999. After leaving office, Barry was elected to the D.C. city council and died in office in 2014. Barry completed his undergraduate education at LeMoyne Owen College and earned a M.S. in Organic Chemistry from Fisk University. Barry later dropped out of a Ph.D program in Physics to lead the Student Non-Violent Coordinating Committee (SNCC) as its first president. Barry later moved to Washington, D.C. and dedicated his life to public service. Barbara Jordan graduated from Texas Southern University, a historically black university in the heart of Houston, Texas. There, she majored in Political Science which would ultimately set the foundation for a successful political career. She became the first African American woman elected to the United States House of Representatives from the south in 1973. Prior to joining the congress on Capitol Hill, Barbara Jordan was a member of the Texas State Senate, and the first woman elected to the state’s legislature. Jordan worked tirelessly to create legislation that would positively impact women, African-Americans and underrepresented communities. Her leadership on the house judiciary committee guided the nation through the Watergate scandal which lead to the impeachment of Richard Nixon. In 1994, after leaving congressional office, Bill Clinton tasked her with leading the Commission on Immigration Reform. She later earned the nation’s higher honor, the Presidential Medal of Freedom for a life of public service. During the Thanksgiving and holiday season, there are often food drives, coat and blanket drives, and other forms of community service for those in need. These needs are present year round and deserve the attention of community members to support. Interestingly, Colleges and Universities are some of the lead organizers in community service initiatives in their respective cities. Today’s Monday Morning MSI Line Up highlights 5 MSIs with dynamic community service programs and initiatives. UW-Bothell’s The Office of Community-Based Learning and Research offers resources to help students identify which service organizations work best with the students’ interests and class schedule. Partnered Seattle based organizations include: United Way King County, United Way of Snohomish County, Seattle Works, Volunteer Match, and many more. Learn more about the resources that UW-Brothell’s Office of Community Based Learning and Research Offers here. UH Hilo has a Campus and Community Service Center involves community members, faculty, administration , and staff in community service initiatives and activities. Activities and initiatives include a beach clean up day, Hunger Banquet (raising awareness about world hunger), Read Across America (educational outreach for K-12 students), sustainability fair, and much more. Learn more about UH Hilo’s Community service initiatives here. Advocacy: Service wherein individuals use words and talents to help eliminate a specific problem (source). Learn more about specific initiatives through SACS here. Rogers State University holds 8 main Community Service events with students. All three service are centered on education, environment, and community well-being (i.e. providing clothes, food, etc.). Some of RSU’s most popular events include a scholarship fair, Pryor Creek Trail Adoption, and a county wide Angel Tree Project. Learn more about RSU’s dynamic service initiatives here! Winston-Salem State University’s Community Service Committee’s service initiatives have an emphasis on community engagement, social justice, and leadership. WSSU’s community partnerships/initiatives include Diaper Bank, Nurse Family Partnership, Salem Pregnancy Care, and Circles Program. Learn more about the Community Service Committee here. Lying at the heart of football players and fans is the traditional rival game. Life-long ties and investment in the culture of NCAA program is often exemplified during this triumph time. The increased media, engaged campus community, and united or divided families are a few characteristics of the game day experience. While the University of Michigan vs The Ohio State University is considered the biggest rivalry in collegiate football history, the rivalries at HBCUs are ones not to be forgotten. These games represent more than football. They represent an additional reason to boast about being the best in all areas (sports, academics, culture, and the band). This week’s Monday Morning MSI Line Up features five HBCU football rival games. This annual game is one of the nation’s greatest college sport rivalries. The competition has been fueled by Grambling’s and Southern’s Southwestern Athletic Conference (SWAC) dominance. Each November, the teams’ sports fans congregate in the Mercedes-Benz Superdome in New Orleans, LA to cheer on their respective teams. In addition to the exciting game, a parade, battle of the bands, and a National Pan-Hellenic Council step show. Be sure to catch the game on Saturday, November 25, 2017 at 4:00PM. The Texas Southern Tigers and Prairie View Panthers rivalry extends beyond the playing field. Since 1956, the cheerleaders have also been a part of the rivalry. The game usually lands during Labor Day; however, the game has been postponed due to Hurricane Harvey. Catch the Texas Southern University vs Prairie View football game on Saturday, November 25, 2017 at 6:00PM. Although the rivalry has existed since 1925, the Florida Classic became official in 1978. Today, the game is considered the largest football game between two HBCUs. This year, the Florida Classic weekend will kick off with a comedy show from the acclaimed comedian and actor Cedric the Entertainer. After the comedian, there will be performances by the crowd-pleasing drum line, energetic dance team, and high stepping drum majors. Catch the 38th rivalry game between historic rivals Florida A&M and Bethune Cookman University on Saturday, November 18th at 2:00PM. The North Carolina A&T and North Carolina Central rivalry is driven by the proximity of these two schools. The schools are roughly 55 miles apart and separated by interstate 85. The short distance between the two has each university competing for the students and athletes of high caliber. While the rivalry dates back to the early 1920s, the intensity of the rivalry has failed to die out. The North Carolina Central Eagles will play the North Carolina A&T Aggies at the O’Kelly–Riddick Stadium on November 18th at 1:00PM. First meeting in 1908, Hampton Institute (now known as Hampton University) played against Howard University. Since then, these teams have battled it out 93 times; while currently Hampton universities leads in the category of all time leads, largest victory, and longest win streaks. The series was originally played in Washington, D.C. as the National Football Classic until 2016. Though the classic format has come and gone, the passion amongst alumni and current students still runs strong. While the battle of who exactly is the real HU is in the eyes of the students and fans of these institutions, this game is bound to be nothing short of exciting. If you’re in the area, grab a ticket and catch the game on November 18th at 1:00PM. Do you know any other HBCU Rivalry Games during the Month of November? Share in the comments below! We live in an era where college and university presidents come and go, and the turnover rate among leaders of post-secondary institutions continues to rise. The American Council on Education recently reported that the average tenure of a president has fallen to approximately seven years. While this is inclusive of all presidencies, this trend has also had a major impact on the Historically Black College & University (HBCU) community. HBCUs rely heavily on the leadership of strong presidents who seek to move their respective institutions forward while maintaining core values that are indicative of the Black College experience. These individuals are not simply expected to generate new streams of revenue while managing day to day administrative tasks that keep colleges and universities afloat. They are the keepers of culture. They are standard bearers. They are community leaders. They are the driving force behind innovative ideas and findings that will advance the race and humanity at large. Above all, they are the shepherds that nurture and develop marginalized sheep who will transform society. For these reasons, dozens of HBCUs sit eagerly with high expectations, awaiting the official announcement of a new leader each year. This year has been no different. In fact, it has been an exciting year due to a few exceptional appointments that were made recently. This week’s MSI Line Up highlights several presidential appointments made this fall. The recent appointment of Ruth J. Simmons as permanent president of Prairie View A&M University shocked the nation and the academic community. Simmons has served the university as Interim President since July, but was not expected to fully forgo retirement for a third presidency. A veteran higher education professional and scholar, Ruth Simmons has dedicated her entire career to break in the advancement of higher education in the United States. Simmons became the first African American to lead an Ivy League institution when she became the president of Brown University in 2001. She is also the former president of Smith College and served as the vice provost at Princeton University and provost of Spelman College. A graduate of Dillard University, Simmons also received a Ph.D. in Romance Literature and Languages from Harvard University. Dr. Simmons comes to Prairie View after retiring from Brown in 2012 and stated, “I have deep roots in Texas, and I was looking for a way to do something helpful for my community.” Learn more about the appointment of Dr. Simmons here. Historically, the presidency of Morehouse College is one of the most revered positions in American higher education. David A. Thomas was named the 12th President of the college in October and will officially begin his term on January 1st . Dr. Thomas is a graduate of Yale University, holds a Masters degree from Columbia University and a Ph.D. from Yale. Thomas starts at Morehouse after a long career at Harvard Business School where he was the H. Naylor Fitzhugh Professor of Business Administration. Before returning to Harvard in 2016, he served as Dean of Georgetown University’s McDonough School of Business from 2011 to 2016. There, Thomas raised $130 million to advance the school’s mission. An expert on issues pertaining to diversity and organizational leadership, David Thomas hopes to launch a major capitol campaign with the goal of raising revenue for the all-male liberal arts college in Atlanta. Morehouse is currently celebrating is sesquicentennial and Dr. Thomas will become the first non-alumnus to lead the College in fifty years. Learn more about the appointment of Dr. Thomas here. 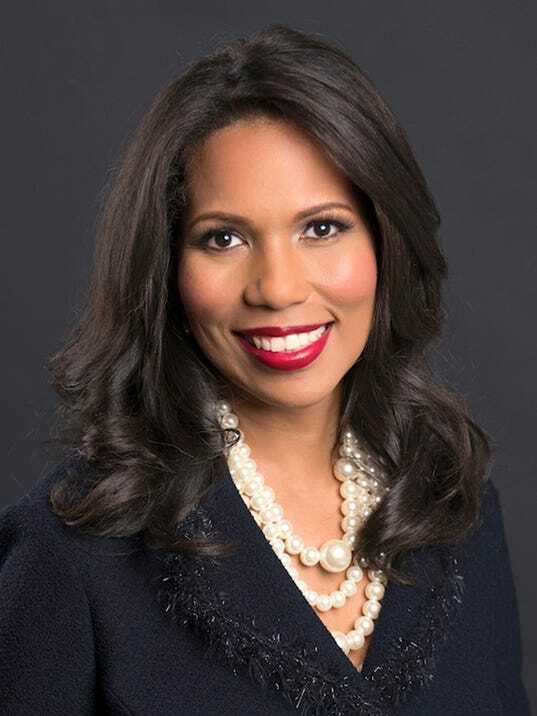 Roslyn Clark Artis became the President of Benedict College located in Columbia, South Carolina on September 1, 2017. Prior to pursuing a career in higher education, Artis practiced law with Brown & Levicoff PLLC and The Wooton Law Firm. Dr. Artis earned a Bachelor of Arts degree in Political Science and a Juris Doctorate degree from West Virginia State University. She also holds a Doctorate in Higher Education Leadership and Policy from Vanderbilt University. Artis is the first woman in Benedict College’s 147-year history to lead the institution. She was also the first woman to serve as president of Florida Memorial University in Miami, Florida. She was appointed in 2014 and is lauded for recruiting a monetary gift of $3.8M, the largest donation given in the university’s history. Dr. Artis is a gifted administrator with a broad skill set that will have an enormous impact on Benedict. Learn more about the appointment of Dr. Artis here. With nearly two decades of experience in higher education administration, Hakim J. Lucas was appointed by the Board of Trustees of Virginia University to serve as the university’s 13th president. Lucas starts at Virginia Union after serving as the Vice President for Institutional Advancement at Bethune Cookman University in Daytona Beach, Florida. He has an extensive fundraising portfolio and a background in development. Prior to that, Dr. Lucas was the Director of Development at State University of New York at Old Westbury and the Dean of Institutional Advancement and Development at Medgar Evers College in Brooklyn, NY. Dr. Lucas earned his Bachelor’s degree from Morehouse College, a Master’s degree in education from Tufts University, and a Ph.D. in Church and Non-Public School Leadership from Fordham University. Lucas, the son of ordained ministers and a minister himself, also earned Master of Divinity from Union Theological Seminary. His religious background makes him a perfect fit for an institution like Virginia Union which is steeped in the Black religious tradition. Learn more about the appointment of Dr. Lucas here. Thoughts on any of these great new presidents? Share them in the comments below!